KHL.ru starts introducing the All-Star Game teams. Today, the talk is about the Bobrov Division. At the All-Star Game, the Bobrov Division’s team roster will feature players from five different teams. SKA St. Petersburg will send Kazan the biggest delegation among the Bobrov Division teams, with four players. SKA leads all the KHL teams for quantity of All-Star players with 30. Two players will represent HC Dynamo Moscow, Spartak Moscow and Dinamo Riga. Jokerit will also send one player. It’s hard to imagine a better alternative to Hudacek for a show. He’s the ideal player for an All-Star Game, and undoubtedly, he will think something special for the Kazan event too. 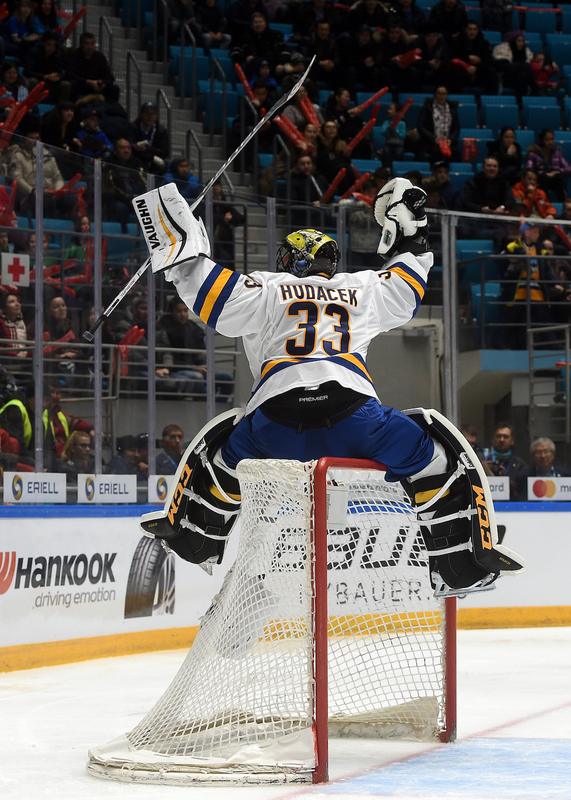 The 2019 KHL All-Star Game is the second participation for Hudacek, and he’s one of the top goalies in the League not only regarding fans’ appeal. Hudacek played more than 2,000 minutes this season, with one shutout and a solid saves percentage of 92.30%. By the numbers, Hellberg is one of the League’s top goalies. He’s in the top-five for all the most important stats. The Swedish goalie has seven shutouts so far (third-best in the KHL), with a goals-against average of 1.24 (fourth place) and a saves percentage of 94% (tied at fourth with CSKA’s Ilya Sorokin). Hellberg is at his second straight All-Star Game. The Canadian defenseman is one of the League’s surprises of the season. At the start of the season, Maione was producing like the top forwards in the League and was as high as the third overall scorer. Now he has slowed down a bit, but his 36 (9+27) points in 44 games are a superb result for a defenseman. Moreover, he already entertained the crowd singing and playing the guitar while playing, so what can we expect from Maione at the All-Star Game? Patrik Hersley was supposed to play at the All-Star Game, but his replacement – Vladislav Gavrikov – doesn’t look any worse. The Olympics gold medal champion is synonym with reliability and leads the whole KHL with an impressive plus-42 rating. The second-rated player trails by twelve points and, if considering the top-10 players for plus/minus, Gavrikov is the player with most average time on ice. The SKA defenseman is a truly universal player. He has a solid production of 15 points, with 52 blocked shots and 20 hits. In spite of his 34 years of age, Lepisto hasn’t lost his edge and is consistently among the top-performing defensemen in the League. He’s a key player for his team, and no other blueliner gets even close to his 25 shifts a night. 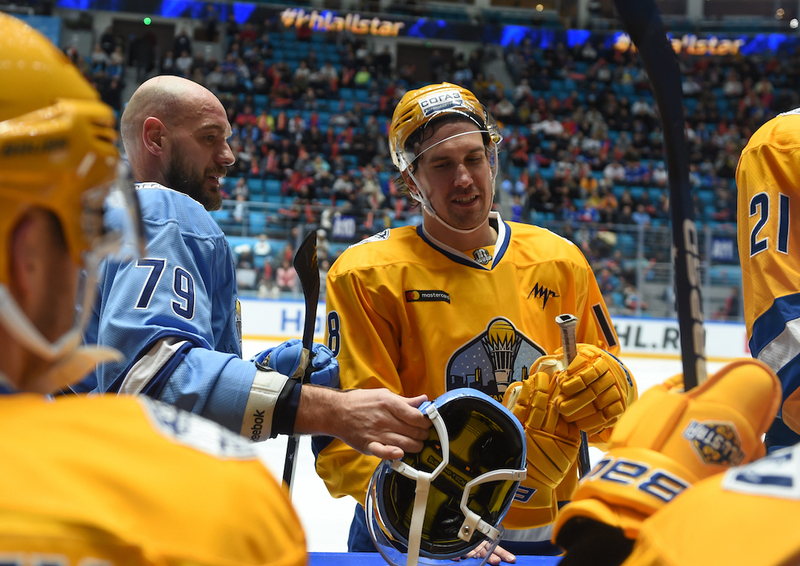 In Kazan, the Finn defenseman will play his third straight All-Star Game. No matter what club he is in, being it Salavat Yulaev or Jokerit, Lepisto is one of the top defensive talents in the League. Gusev is the KHL’s top scorer, and that should be enough. It’s not a surprise that he was one of the most-voted players. The SKA forward is already at his fourth All-Star Game, even if he’s only 26 years old, and this is also worthy of a mention. Many experts think that right now, Nikita Gusev is the best player in the League. His incredible vision of the ice and a fantastic eye for the pass (45 assists in 47 games) make Gusev a star. 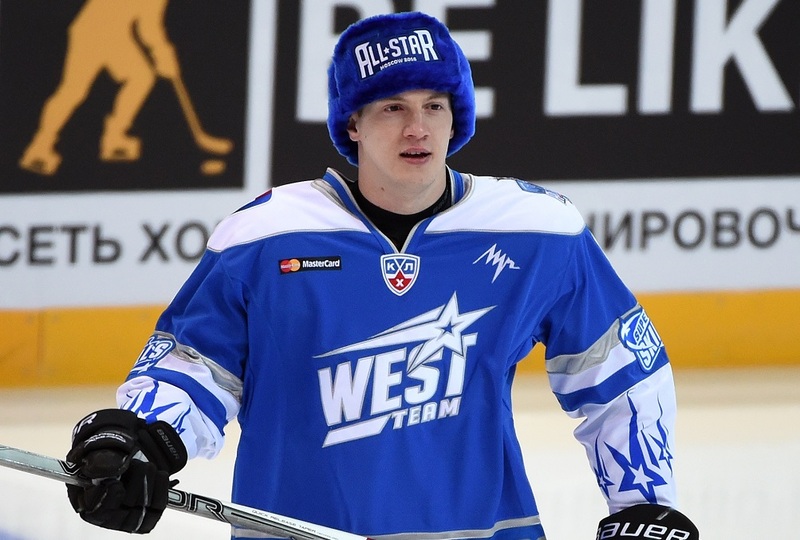 At the 2015 All-Star Game, Gusev had one of the finest shootout attempts when produced a stunningly graceful "dragon's tail" move that amassed more than five million views on YouTube. Moving to a bigger club didn’t change anything in Kagarlitsky’s stats. Quite the opposite, he started scoring even more. And this happened also if his new team had a rocky start and changed head coach midway through the season. Kagarlitsky scored 52 (20+32) points in 50 games and is now in the fourth position in the League’s top-scoring rankings. With five All-Star Games under his belt, only Sergei Mozyakin and Danis Zaripov can boast more appearances. He is currently in the second position in the assist rankings with 13 helpers. He is at only six assists from the leader Alexander Radulov. However, he already owns a record, having assisted his partners seven times in the 2016 KHL All-Star Game. The one-two punch Kagarlitsky and Shipachyov is undoubtedly the best duo of the season. They already amassed more than one hundred points and is mostly because of this kind of play that HC Dynamo after a slow start is now the fifth seed of the Western Conference. Just like Kagarlitsky, this year is his first season at HC Dynamo, where he managed to get back on track after an unsuccessful move to the NHL. Vadim is now the League’s third scorer with 55 (17+38) points. The 24-year-old SKA forward plays in the KHL for a long time, but only this year he managed to become a real star. So far, he scored 33 (11+22) points and is the second top-scoring SKA forward. He only plays 15 minutes a night, and this makes his numbers even more significant. Barabanov is currently among the best five players in the League in the plus/minus department, with a plus-27 rating. It’s surprising to think that the two Lauris Darzins’ All-Star Game participations are split by eight years. Darzins played his first All-Star Game when the players were still split into Team Yashin and Team Jagr. At the 2011 All-Star Game, the Latvian forward was part of the top skaters’ relay. He didn’t manage to defeat Maxim Afinogenov and his lap time of 13,96 seconds, but he helped Team Yashin to win the competition. 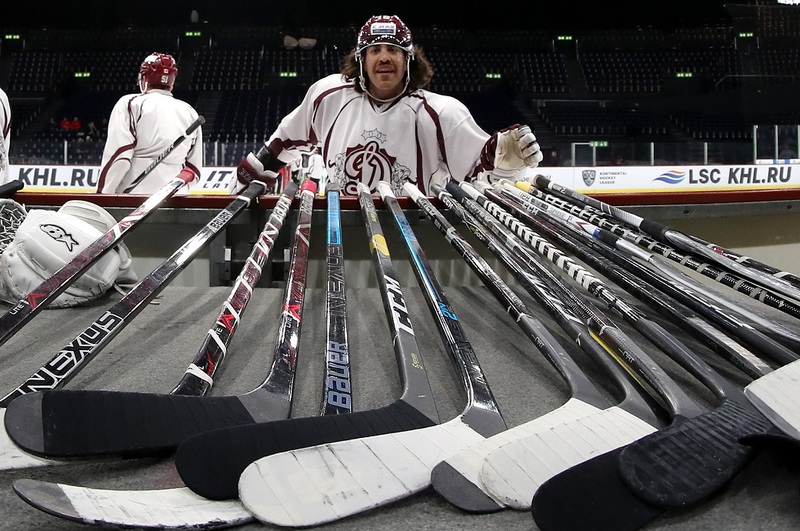 The Dinamo Riga captain is having a fantastic season, with 34 (12+22) points – he scored as much only back in the 2010/2011 campaign, where he was called to the festivities in St. Petersburg. Considering that SKA sent four players to the All-Star Game, the choice of the team’s head coach was logical. SKA is now in an outstanding moment and is in a good swing for the upcoming playoffs. For Vorobyov, the KHL All-Star game will be the third in his career, and this means that he already surpassed Vyacheslav Bykov, Vladimir Vujtek, Mike Keenan, and Milos Riha. Natalya Clark will join Vorobyov on the bench, and you can bet that she’s as ready to battle as the SKA coach is. “Our main tactic is playing to win! And of course, to please the fans. I want to thank all the fans that will cheer for us. And for what regards my fans, but who are cheering for another team, there is still time to change idea!” – Natalya said during an interview to KHL.ru.